Earlier this week, the LA Times argued that Sony Pictures might be thinking about closing its DVD business in Spain. Word says that the other big studios might follow. Sad as it is, I do understand it. Spain has climbed to the third spot in the world ranking of piracy, after South Korea and China. In absolute terms, which is insane considering that we are roughly 45 million people. According to different sources the number of DVDs sold or rented in Spain in 2009 dropped by 30%, compared to 2008. 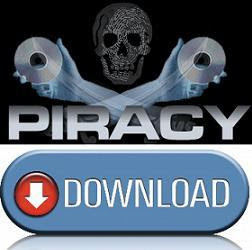 On the flipside, the number of illegal downloads jumped from 132 million in 2006 and 350 million in 2008, according to the data of the studios. The studios further report that sales of DVDs in Spain generate three to ten times less income than in the UK or Germany. Likewise, the number of DVD rental businesses has dropped dramatically in Spain over the recent years. It is clear to me that big media players have not adapted yet to the new times. Or at least not around the world (for instance, I keep reading about new iPad deals cut between Apple and content distributors for the US... but what will happen outside of the US? See my post from February 3 on geographies). People share and consume content in a different way. Is it that hard to understand? The music business had to learn this the hard way but it seems to be on the track to recovery. Motion picture industry should pay more attention to everything going on around it. But having said the above, there is no justification for what is going on in Spain. And the more I think and talk about it, the more assured I am that it is something cultural. I do not trust all those people shouting out there about "sharing" content on P2P platforms. But when I talk to more educated people, a majority of them seems to also believe that P2P users are not stealing content. And it really amazes me. In this context, in my view, 'sharing" is just a way to justify "stealing". Period. You "share" a movie with someone at the other side of the P2P application and you do not buy or rent the movie any more. That's reality. It worries me that people do not want to see this, but it worries me even more that people do really think that they actually doing something legal. A number of legal measures are being analyzed by the Spanish government in order to regulate further these activities. The minister of culture is being attacked by lots of associations of internet users claiming that things are fine the way they are now. Culture of cheap (i.e. free) perks? Totalmente de acuerdo, y para más INRI es bastante vergonzoso ver todo el movimiento anti Ley Sinde, la verdad.